Paul: So I guess I haven’t, when thinking about talking to an architect and thinking about an architect, I really narrowed it down to, “Oh, they designed the plans.” Oh, and they listen to what I say, and they say, “No, that would be a bad thing to make that work that way. Here’s why, and maybe we should change it this…” So you negotiate with me to take my design ethic and help it achieve reality. But I sort of stopped there, and I really didn’t take into account all of the other things. And that’s what I want us to pull out now, is, What are those other things? If I’m saying I’m stubborn. I want to go download my own plans. Let’s give our listeners sort of a checklist. What would they have to do to sort of be successful? And if one of them is zoning and getting the approvals. But can we go through that? Because I think for most people, it’s always great to give some information to people so that they can be informed. And they say, “Yeah. I’m not up to that. Let me hire an architect to do it.” So what are some of those things that are hidden that I’m saying, “Well, I know a good carpenter. I know a good general contractor. They appear to be good to me.” We’ve heard horror stories all over the place. Of course, those are the ones that stick in your mind. They start with the house, and they never finish it and that kind of thing. But there’s enough people that that’s happened to that they stay in our minds. So it happens. So what would you give? You know, two or three or five hints that say, okay, you’re thinking about building a house. You’re going to go download your plans. What are you going to do next? Ben: Okay. So there’s a host of things that come to my mind. Part of it is just the whole notion of what it’s like to live in the 21 century. The somewhat more objective issues to deal with that are not necessarily always the most pleasant because they’re sort of the municipal process is just the nature of whether it’s an existing house or a new house is finding a site, if it’s a new house, making sure that all of the regulations are met. And that would apply to either circumstance. And those regulations are typically zoning, septic systems, if there is a municipal sewer system, site survey — depending on how much information is appropriate to really set up as a site plan. So you have the grades and the change of rolling terrain, whatever, on a site. So there’s the kind of fundamental information that is the base of your project, really the land, the site. And what implications are there about that particular piece of property? Are you near a wetland so that you need to be aware of, can you build within 100 feet of the wetland or is it near the ocean where there may be a floodplain that applies. So there is a whole layer of things that you need to be aware of in a permitting and municipal way, and sometimes people are at least knowledgeable about that, but it’s rare that people have an appreciation for how much of a challenge that process can be in the 21st century. So you have that kind of site related issue, which also then certainly trickles down and informs the design of a new house because you’d need to make sure that the new house works on that site. And again, you get into kind of the objective criteria. For example, where’s the street? And that means the driveway is going to come in from a certain location. That’s a fairly objective piece of information. Whereas, something more subjective might be, Where do you want on that site to develop a private outdoor area, and do you have options or not? And people today are, thankfully, tending to think about important other aspects. For example, where is south, and do we want…if we can, do we want to able to put foldable panels for solar electricity on the house. So, is that a criteria that’s important to us or not? Where are your views? If your views are of a nice rolling farm area or water, if you’re on the ocean, obviously, that informs things about the house as well. You don’t usually put the garage on the side of the house their the view is, for example. And again, those might seem really simple. Paul: They’re simple once you say them. Ben: Yeah. Okay. All things that impact the design in, again, a subjective and an objective way. Zoning has limitations on how many stories, how many floors can the house be. What is the maximum roof height? And in some cases, that’s more lenient. In some cases it’s very absolute. And then you kind of need to work down from there. So to your point about buying plans online, which is, of course, typically only for new construction, all of those elements really have to come into play at some point, whether you manage those yourself or you hire. You might be able to hire a civil engineer who would just work with the issues of wetland and zoning, height of the building. They could advice you about that as well. If you had a set of house plans that you felt really comfortable, would also be easily able to be built on your property. The other part of the building process that one has to be aware of is the building codes too. Those have changed rather dramatically. I mean, even since we did your small barn, the building code has changed. And for the most part, fortunately, because of energy codes and an attempt by Massachusetts, especially, to make our residences highly more energy efficient than they were even a decade ago. So sometimes, when you buy a set of building plans, that information doesn’t meet your local code. Now a good general contractor would be aware of that and could certainly adjust a set of drawings, meaning, how the insulation is done to very likely make it fit with current energy code. But that’s another whole part of it is kind of making sure that your house complies with current building codes and energy codes. Paul: So it sounds like you’re biting off a lot when you’re saying, “I’m going to build my own house by myself,” or whatever, not hire an architect. Paul: Or an engineer or something. There’s a lot of details that just aren’t clearly obvious. Ben: And that’s probably why a lot of new homes tend to be built in a subdivision kind of environment where you have one or several plans that people can choose from and a developer/general contractor who is building those on a kind of repeat basis so that they will very likely have a whole list of options, in a way, sort of like when you go to buy an automobile, and you can get a low, medium, or high trim package or other features. So that that could be one very regulated and informed way to go about buying a new house and having one built for you that would have information pertinent and appropriate to that process. Paul: So would it be… I’m just thinking here out loud. Would it be viable? Or how viable would it be for me to say, “Oh, gee. I really like this house online,” and give you the plans to modify them. Is that even a thing worth taking about? Ben: It actually is. And we haven’t done that frequently, but we’ve done that several times. I can think of an example in Topsfield that I did decades ago, where we modified a set of plans that a client had purchased. And what that did for that particular client was it sort of moved the ball down the field some because we weren’t starting from scratch, and fortunately, that particular individual was, or is, an engineer and was involved in general contracting, so was more informed than your typical client. But he knew well enough that on their particular site, it was a nice site. It was a flat site, fairly easy to build on. So he could buy a set of plans. In that case, it wasn’t online, but they were able to get a set of plans, and were able to easily modify them. So the big benefit to them in that case is because we weren’t starting from scratch, our fee was substantially less than it would have been if we started, literally with no idea of the eventual outcome. Paul: Right. So how often do you start with just a completely blank sheet of paper? Ben: Actually, more of the time we start that way, which is part of what makes it exciting. Now when we’re doing renovation/addition work, the sheet of paper isn’t entire blank because you already have a building there and the way the building sits on the site and where north and south is and where the driveway is, where septic system might be, pieces of information that inform how you work on the building. So that doesn’t necessarily make the design process more or less complicated. It just makes it a little bit different. Paul: Okay. Well now, I was raised in a family of engineers. Both of my brothers are electrical engineers so I’ve always had a very big appreciation for engineers. They run trains. No, but do you guys do the engineering as well? And before we even go there, the process of being an architect or architecting something is not just drawing a pretty picture of how it might look or maybe building a little model of how it might look. There’s a lot to that. Can you sort of peel that onion for us? I mean, I can doodle. You know, my daughter’s a great artist. She can doodle. Why isn’t she an architect? What’s the difference there? Ben: Well, I think of architects as being people who are — I suppose it’s not a brilliant moment or statement but — visual and have a certain skillset that allows them to convert their imagination into visual examples and visuals solutions for their clients. Paul: Okay. That sounds like the universal understanding of architects. Ben: Probably, yes. But then behind that, there also has to be a good deal of that combination of, as you brought up the point about engineers. You should have some appreciation for structural engineering, certainly. We no longer do our own structural engineering. We have two people we work with because they’re better suited. We do the basic concept for how the structure will work in a building. But they really run the calculations and confirm beam sizes and point loads and things that are very technical. Paul: So do you suggest the beam? Ben: We would suggest the location, and we would have an idea of the size and what we’d work with Joe or Jeff on is, specifically what type. Is it a wood or steel beam, what size? So we have that sort of back and forth information flow so we can figure that out for each particular project. Paul: Right. So you’re sort of folding all of the technology, the technical aspects that they feed back to you into the design so that it looks the same. Paul: What they think is important. Ben: Right — kinds of things. And then the very objective type — a room list, how many bedrooms, a garage, size of garage. What are their other desires as far as are they interested in having a kitchen, sitting, dining space that’s open, or independent rooms? And that could be as simple as one sheet of paper with a list of rooms. Or it could be more complex, and it doesn’t happen often but on occasion, you might have a client who would give you a notebook with information for each room. So we encourage them to provide as much information as they would like, and we always review that with the client. Generally speaking, most of our clients arrive with some sense of a design style or architectural style that they’re interested in doing. So it’s not common that somebody comes in thinking they’ll do a colonial house and all of a sudden, it becomes a contemporary house. That would be unusual. It’s more likely that they come in with a rather specific request for a particular style of architecture, and then we work with them in that style and take that, again, sort of subjective piece and apply their objective criteria and work toward a solution. Paul: Okay. Very cool. So now we have these desires or opinions by the client. They want this. Do you start out with elevation drawings? I mean, how do you communicate to me, to start introducing me to the realization of this? Ben: Sure. Well, and actually, I also wanted to mention that along with the subjective and objective design information that they bring to us, and we ask questions of them to try to fill any unknowns in before we start the design process. The other big, very important thing is to know what’s their budget because we really can’t start a design process without understanding what their budget expectation is as well. Once we have that information collected, the design process for us generally begins with both what we refer to as two-dimensional and three-dimensional drawings. And the difference between those two is that we both happen to have a pad of paper in front of us. We could sketch out a floor plan of a building on that pad of paper, and it would be a series of lines with probably rectangles on it that would have different room functions. What we do is also provide for them at the same time — and this is where the technology of the computer is fabulous in our profession, is we can provide for them and three-dimensional computer model that will provide an image that they can see from both inside and outside, which is complete. Well, back in, really not that long ago for most firms. 20 years ago, very few people were doing that. More people are doing that now. Paul: Yeah. It was not possible. Ben: Right and there are specific softwares for our profession that allow you to work in both two-dimensional and three-dimensional. And it’s very much changed the way an architect can offer their service to their clients. We just felt, oh, 15 years ago, let’s say, that the opportunity to use three-dimensional computer modeling was such an incredibly valuable tool that we employ that on every design, and it’s usually part of the preliminary design process as well. Paul: Yeah. I mean, we’ve all seen that on TV and just in examples and renderings of things. It is profound. So let’s get into that a little bit. Paul: How long have you been doing this? Ben: It first started working in Boston in the 1970s. Paul: Okay. And then when did you start your own firm? Paul: Okay. So 31 years this year. Ben: Yes. Actually, 33 years this year. Isn’t it? Whatever. Paul: Sorry. My math isn’t my first language. It’s embarrassing. But anyway, so 33 years. I was just testing you to see if you could do the math. Ben: Exactly. See if I can do any math. Right. Paul: So what got you into architecture? What made you make that decision? Was it in high school, junior high, or did you go to college and say, “I’ll figure it out then,” or what? Ben: No, I was rather fortunate that even as a young person, meaning, before I even got into junior high school as they called it in those days, I knew that I wanted to be in the architectural profession. Paul: Why? What happened that sparked that interest? And my answer would be pretty much, “I don’t know.” So I have that visual skillset and the ability to see it in my head and then convert it into a drawing, which is fun, really. Paul: Well, that’s true. So you’ve identified something that was fun. So you had this notion about architecture in junior high, and did you do anything? Did you engage in it, or just was it something, “Oh, eventually, I’ll become an architect.” Was it that blunt or…? Ben: Well, actually, it was probably a series of things. But, we live, still live on a property in Topsfield that is 30 acres and my parents moved there and had a little kind of a weekend farm. And we did all sorts of projects on the weekends. So we renovated the house. We added on to the house. We picked up a so-called carriage shed and moved it out of the way and built a foundation and moved it back on and renovated that. And so there were always projects, hands-on projects, throughout my youth. And it could have been as simple as painting the exterior or installing flooring inside or learning enough to be dangerous about plumbing and electrical, which is why I don’t do those myself. So that was part of our growing up experience on the farm and using farm equipment, driving tractors, a backhoe, things like that. So it was always a combination of hands-on experience and then sort of the cerebral part. And that just kind of inspired me to be involved in a profession where you could both create and enjoy the hands on and see it. 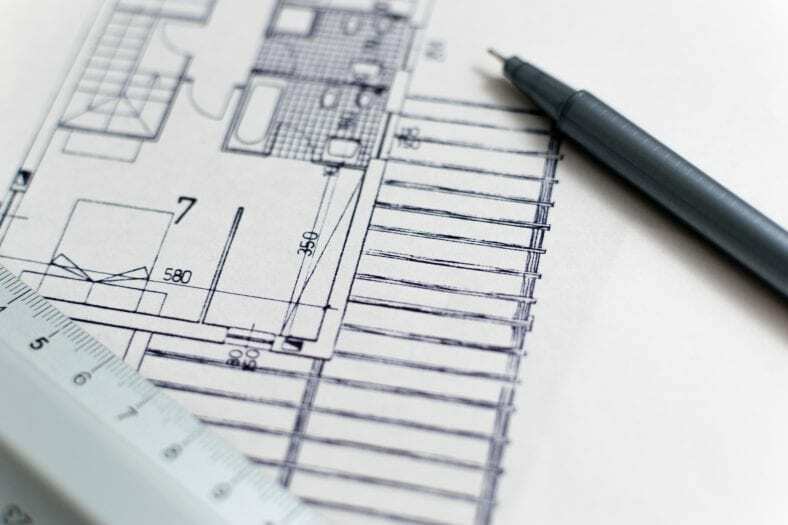 Not only the creation on paper, if you will, but the creation come to life on a piece of property, which, you know, isn’t really that different than a mechanical engineer or a structural engineer. You know, to your earlier point, all sorts of engineers and architects and I think in the case of architecture sometimes, it’s that sort of visual style that is more part of the design process, maybe not unlike industrial design, for example. You know, how do automobiles end up being designed the way… We’re attracted to them probably more by how they look than whether it’s an all-wheel drive for example. So all that experience for me as I was a young person and right into junior and senior high, and I took every sort of drafting class I could and architectural drawing, and I took a lot of art. That was always very important for me. And I just knew that I wanted to go away and do college for architecture. Paul: Wow. So you wanted to go to become an architect. There must be certain colleges that are better than others at that. Where did you choose to go? Ben: Well, my challenge was a little more, for me at any rate, a little more unique. Growing up in New England at that time, there were not a lot of schools in the New England area that offered a five-year architecture degree. Paul: Well why is it five year? Aren’t most degrees four? Ben: No. Actually, architecture has traditionally always been five years, in part, because of just the process of learning how to combine that sort of visual and engineering and other aspects of what an architect does. There’s always been a lot of drawing, if you will. That’s a little bit different now because people do so much on a computer, almost all of it on computer. But developing that skillset, to be able to take design criteria and develop it into an actual design is just time consuming. So it’s a school process that is as time demanding as being in a medical school, for example. But within New England and my sort of unique adventure is that I was very strong on the visual, and I’m okay with the practical aspect of structure, but I never really enjoyed, and I never did really well in math and science. So I actually took a little different path. I went to a two-year school in Vermont and got an associate’s degree in architecture and building technology. And from there, eventually I transferred on and finished my degree at the University of Oregon. So it’s a northeast, northwest kind of path, not your common path. Probably it would be very difficult to do today. But at the time, it worked out really well. Paul: Right. Well I do think it’s important… You know, there’s a lot of people listening. And they may know somebody who’s young and wants to be, has a notion of being in architecture. And even that path, I mean, you could go get a two-year degree in that, and I don’t think a college is going to look poorly at you to say, “You can’t come in here for an architectural degree.” They might. But, I think there’s hope. What would you suggest for a youth of today, if they wanted to be in architecture? Certainly take art classes? Ben: Yes. Art, graphics, also would recommend that if somebody is interested in that when they’re in high school, it would be great to find, not just perhaps an architectural firm that they might intern in, but I very much encourage that they find opportunities to get out in the field and work. It could be a local small carpenter contractor, or it could be a larger commercial contractor. Find out what it’s like to be at both ends of the process and how important it is for those two professions to really collaborate well together and understand what they each do. I would certainly encourage anyone who is in junior and senior high to then, look for opportunities to get out and find out what it’s like in the profession. Paul: So just down the street from us they’re taking some trees out and going to be building a couple of houses, and my wife, you know, knows everybody and stops by and is talking to the guy who’s doing it. And he said, “Oh, if you know anybody who wants to work, send them over to me.” And, of course, we offered that to some people we know, and they weren’t very intrigued or motivated to do that. But, I would imagine, because they’re grading the land and all that, it would be helping out with manual labor. Paul: So would you suggest they do that, or is it, “No, I’ve got to look for, you know, higher up level job.” Take what you can get or…? Ben: I really encourage… I think it’s great to get your hands dirty and get outside and find out what it’s like to be out there on a day like today when it’s hazy, hot, and humid, and it might actually inspire you to do well in your classes and realize that on these days, it’s a little more comfortable to be inside, just as it is on a day in January. That’s when I think my own appreciation for people that are in the trades, because they’re working outdoors in all kinds of weather and it’s really important that they’re an equal partner in this, in the entire design and construction process. And the more that the two different professions appreciate and respect that, the better results you have. Paul: So to bring a point to that, if you’re a teenager or know a teenager, and they can get a job moving bricks at a construction area, that’s better, that’s infinitely better than not working at the construction area. Ben: In my opinion, absolutely. Sure. Go. Go find out what it’s like. Paul: Right. I don’t want them to say, “No, I have to be the foreman’s helper or something.” No. You gotta do the hard ones. So it’s not an excuse. Ben: I think so. That’s right. It’s all good character building experience. Right? Paul: Well, but I think even more than that, if you were to hire a new architect coming out of college and had of their resume that they worked for a summer with a local contractor moving bricks, that’s going to move them to one pile that’s probably higher than the other pile. Ben: It would for me. Absolutely. And I would say that would be true for the people that are in my small firm as well, is that every one of us has an interest in doing those projects. And we generally have some self-inflicted project that we’re doing at our own homes, which takes, of course, forever. But, but it’s a great way for us to appreciate — which I certainly learned to appreciate very much when we were first building our home. You know, I can wear a tool belt and be proficient, but the people who are in that every day for decades, their knowledge and their skillset is phenomenal. Paul: It is amazing. I mean, it is. It is. You should, if you don’t have an appreciation for what they do, it’s fascinating. Ben: It, it truly is.